Hydro Grow LED offers two lines of LED grow lights. The Extreme and the SOL LED series are offered by Hydro Grow and according to the company, all of the Hydro Grow lights emit 100% of the light that plants need to develop big and healthy. The grow lights at Hydro Grow are engineered to grow any plant from organic produce to indoor herb gardens as well as high production commercial produce. Hydro Grow came together in 2009 and the company has researched and developed ways to fine tune their product so that it performs 2 to 3 times better than the standard HID grow light at promoting more vigorous plant growth. The company actually spent two years researching and developing their grow light product so that they were positive it outperformed HIDs before being offered their brand to the public. Hydro Grow prides itself on utilizing “top bin” LEDs in their grow light products. This means that the LEDs in their product are highest quality LEDs. It should be noted that Hydro Grow does share information on where their LEDs come from and this is something that not all companies will reveal. Hydro Grow self identifies as a full disclosure company. They attempt to exemplify this by offering more technical information about their lights than any other grow light company. Hydro Grow reveals information like actual power draw, spectral outputs, spectral ratios, number of LEDs on the board and diode intensity. 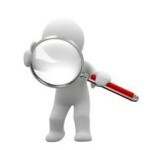 The information that Hydro Grow provides is quite comprehensive and very beneficial to consumers contrasting products. Hydro Grow is well know for product testing examples, as well as the comprehensive data that the company offers consumers. Hydro Grow is well respected by the competition and I know this because I have been told this by the actual competition! In the end, Hydro Grow tests reveal that Hydro Grow LED grow lights not only outperform other LED grow lights, but outperform HIDs too! The 84X-Pro LED grow light, part of the Hydro Grow Extreme series, sets itself apart from other grow lights by providing a 6-band spectrum of light that incorporates wavelengths which support the vegetative and flowering stages of a plants life. The 84X-PRO is also engineered to focus light intensely to provide deep canopy light penetration. Supporting an indoor garden with the Hydro Grow LED from the Extreme series is not a problem. Lights from the Extreme series actually focus light more intensely and are recommended for indoor growers. Some additional features include power selection control and superior thermal management. Hydro Grow relays that the 84X-PRO LED grow light matches the PAR output of a 400W HPS. One key that allows the 84X-PRO to produce an equatable type of light lies in the patent-pending 3rd generation spectrum. The unit benefits from a modular internal build and can easily toggle between the .5 watt / 1 watt / 3 watt power settings. The unit incorporates custom copper core heatsinks that quickly and efficiently manage operating temperatures while the 2nd generation ultra penetrating X-lens focuses the LED grow light deep into the plant canopy. The 84X-PRO LED grow light by Hydro Grow is considered a top grow light by its competitors and one that should be given serious review and considered a top tier LED grow light. It is always a good thing when the grow light company lists the names of the LED manufacturers. I can tell you that not all grow light companies will provide this information and when this is the case, buyers beware. Hydro Grow lists Bridgelux, Epistar and SemiLED as the producers of the LEDs that are integral in the Hydro Grow LED grow lights. BridgeLux is located in San Francisco, California and has been identified as one of the fastest growing companies developing light source technology in the region. 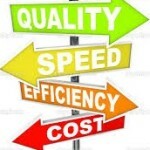 BridgeLux does business worldwide and is well know and respected. Epistar is also another manufacturer of LED chips that Hydro Grow utilizes. Epistar has integrated LED technology into everything from laptops to cell phones to grow lights. Researchers at Epistar continue to work on increasing the efficiency of LED chips to lower costs for all. Epistar is another leader worldwide in the field of LED technology. SemiLEDs was incorporated in Delaware and focuses manufacturing on ultra-high brightness LED chips. SemiLEDs hosts fabrication facilities in Taiwan. SemiLEDs specialize in the production of LED chips in blue (white), green and UV wavelengths using proprietary and patented MvpLED technology. The LED chips selected by Hydro Grow are “top bin” and are rated to have the highest output. The initial investment in this class of LED grow light can be a bit daunting for growers which is definitely a variable that can cause purchasing hesitation. I have found that growing with an LED does save money over time. I have not utilized fans or other cooling systems when growing with my LEDs and the energy savings are accumulating. Over time, utilizing an LED grow light over a traditional HPS makes sense. High Pressure Sodium are rated for far fewer hours of actual working time and extra accessories like the ballast, reflectors, bulbs, and ventilation systems are necessary. Research reveals that LED grow lights are just more efficient and as effective! A grower will save on energy consumption and the better yield can equal better earnings as well. Hydro Grow LED offers two types of warranty that are contingent on the grow light series purchased. The Sol LED Grow Light series comes with a full two year warranty against various manufacturer defects. 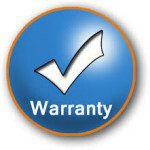 Replacement parts are sent out to the consumer free of charge during the warranty period. The 3 year warranty is for Extreme LED Grow Light purchases. It also replaces defective parts and sends replacement parts free of charge to the consumer during the three year warranty period. In order for the warranty to be active and valid, the consumer must follow a specific warranty procedure that Hydro Grow outlines for its customers. Hydro Grow Series include the Sol and the Extreme (X2) LED Grow Light Series. Grow lights in each series include Top rated LEDs (this means that the LEDs integrated have the highest output, but also have the highest cost per LED.) Grow lights in both series are rated for a 50,000 hour lifespan, have built-in ballast and fans, have custom heat sinks, are low maintenance and energy efficient. Grow lights in both series benefit from a modular internal build. One noteworthy difference between the series is the light footprint. The Sol series has an extended light coverage area while the Extreme (X2) series focuses the light further to enhance light penetration into the plant canopy. 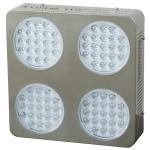 The Sol series is recommended for commercial operations that need the light to cover vast areas and the Extreme (X2) series is recommended for the garden enthusiasts, like myself, looking to grow plants and veggies indoors. Many units and many companies are reviewed on this site and I can say that Hydro Grow has earned its right to be mentioned among the top tier lights. The choice that Hydro Grow offers between the Sol and the Extreme series is very beneficial and accommodates a wide range of potential customers. For the indoor grow enthusiast, I recommend the Extreme Series (X2). Although the light coverage area might be a bit less than grow lights from the Sol series, the deeper light penetration can enhance plant yields which is ultimately what I’m looking to accomplish. Now it time for you to decide, and good luck growing your plants big at home! !